If you have ever noticed a message like unfortunately google plays services has stopped In your android device, and you have try fixing it and yet it’s not working, the only thing most people do is to disable this service. But once this is done your phone is left with vulnerability and exposed to all kind of virus because at this time no update is read, and all you have left with is only the options of collecting data from a computer. At this point I guess is time you change the device because the android devices is no longer worth using anymore. 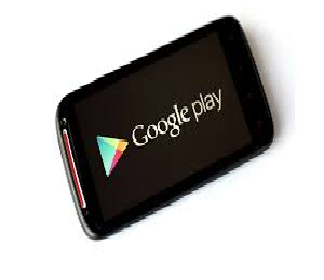 The reason is because Google Play Services is a proprietary background service and API package for Android devices. It was first introduced in 2012, and provided simple access to the Google+ APIs and OAuth 2.0, but since then it has expanded to cover a large variety of Google’s services, allowing applications to easily communicate with the services through common means, being internally referred to as simply GMS. As of January 2014, it has been installed in over one billion times on Android devices. Google Play Services is used to update Google services and apps from the company’s Play Store. The app is now a critical part of the Android experience and comes automatically installed on new android phones with Google’s operating system (OS). If you’re running an older phone, you can download it from the PlayStore. If you have an Android phone then you will want to take advantage of the functionality in this app to make sure you get the best experience from your device. Google Play Game Services can be used by application developers to allow a more competitive and social experience through the use of leader boards, both public and between friends, achievements and multiplayer sessions. Saved Games API is available to quickly sync game saves on Google’s cloud infrastructure as well. The Location APIs abstract away specifics about the location technologies, providing Geofencing APIs for scheduling specific actions upon the user entering or leaving specific geographic boundaries, Fused Location Provider for acquiring location information with as reduced power usage as possible and activity recognition for allowing applications to adapt to the current action of the user (e.g. cycling, walking, etc.). The Google+ platform provides single sign-on, in all allowing the user to be automatically authenticated inside applications, providing a more personalized experience, and sharing options using Google+. Google Maps Android API allows applications to include Google Maps or Street View without the need to open a separate application, allowing full control over the camera and providing means of adding custom. Markers and overlays over the map. Google Drive Android API exposes Google Drive to be used as a storage structure, providing easy lookup and syncing of documents along with various other tools for manipulating the files. Google Cast Android API adds casting functionality to allow Android applications to display content on TVs using Google Cast, additionally providing various helpers for common audio, video and image types. Google Mobile Ads integrate advertisements into applications, allowing simple monetization by over a million Google advertisers and sophisticated ad targeting based on factors such as user location. Google Wallet Instant Buys and allows purchases of services and goods to be done from a Google Wallet, providing a streamlined flow of just a few taps with minimized data entry done by the user. Google Play Services provides other APIs such as the Google Fit API, Google account authentication methods and Google Analytics APIs. Google Play Services is used by almost all Google apps and have system-level powers to provide multiple internal features. Google Play Protect is a unification of Android security systems operated by Google Play Services is automatically updated through Google Play on devices with that application installed that are running Android 4.0 or newer.This means Google can do fast, silent roll outs of updates, providing new functionality to older devices without manufacturers having to update the Android firmware itself, working around the fragmentation of the platform for which it had become infamous. Google Play services are used to update Google apps and apps from Google Play. This component provides core functionality like authentication to your Google services, synchronized contacts, and access to all the latest user privacy settings, and higher quality, lower-powered location based services. Google Play services also enhance your app experience. It speeds up offline searches, provides more immersive maps, and improves gaming experiences. ← Network components And Functions.